YOU. IN THE DRIVER'S SEAT OF YOUR OWN INTERNAL STAFFING ENGINE. Welcome to the future of event staffing–where YOU take total control of your event staff selection, training, management and measurement. 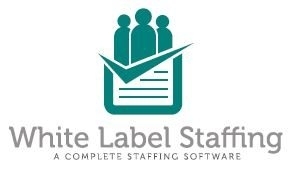 The White Label Staffing platform was designed to look and act as though you have created your own internal staffing company. Our team of programmers brand the software with your look and feel, adding to your capabilities and showing your clients or, CMO that you are in control of their staffing. • INSTANT ACCESS TO A ROBUST DATABASE. Gain access to tens of thousands of event-ready personnel across North America. Our database includes access to staff profiles, demographic data, headshots, work history, resumes and talent ratings. • STAFF RATINGS. The Event Industry's only rating system allows you to view three different types of ratings within individual staff profiles. Now you sort staffers across internal ratings, global ratings and by other specific event criteria! • EASY-TO-USE-RECRUITING TOOLS. Recruiting tools allow you to define and narrow down the criteria for each event and invite staffers that match your program profile. Dispense recruiting information to thousands of staff with a click of a button. You book and confirm staff… all on one platform. • TRAIN AND MANAGE YOUR FIELD STAFF FROM THE CLOUD. Once staff are confirmed, you can easily share training documents and event information right through the system. Confirmed staff will no longer receive any other job offers with conflicting dates/times. • MOBILE LOCATION/GPS CHECK IN. Our (your) mobile apps allows brand ambassadors to check into an event (date/time/geo stamps). From your portal you can track in-field movements, receive pictures/videos, data collect and event recaps in real time.